Join East Bay artists on Saturday, Dec. 3rd for “Displacement” a group art exhibit benefiting housing rights services that help fight displacement by informing residents of their rights. California artists along with Chulita Vinyl Club (an all female DJ group) are donating their time and skills to make this a memorable event for everyone! Let those who have been affected by displacement know they are not alone and that there is hope. 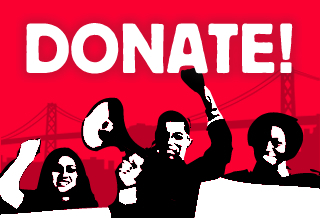 Proceeds donated to Oakland’s housing rights organization Causa Justa :: Just Cause. 3 Dot will also provide art for a “Just Cause” so be sure to stop by our neighbors! Artists have always been used as a stepping stone in converting low income neighborhoods into hip and happening places where money can be invested. Only then does the City care enough to start cleaning it up so folks with money can begin to move into remodeled residential buildings after old residents get evicted. This show is an opportunity for all artists to do what we do best, express our feelings and emotions about this growing virus that is affecting so many low income neighborhoods, and allow them to showcase conscious work that speaks against Displacement atrocities rather than disguising it. 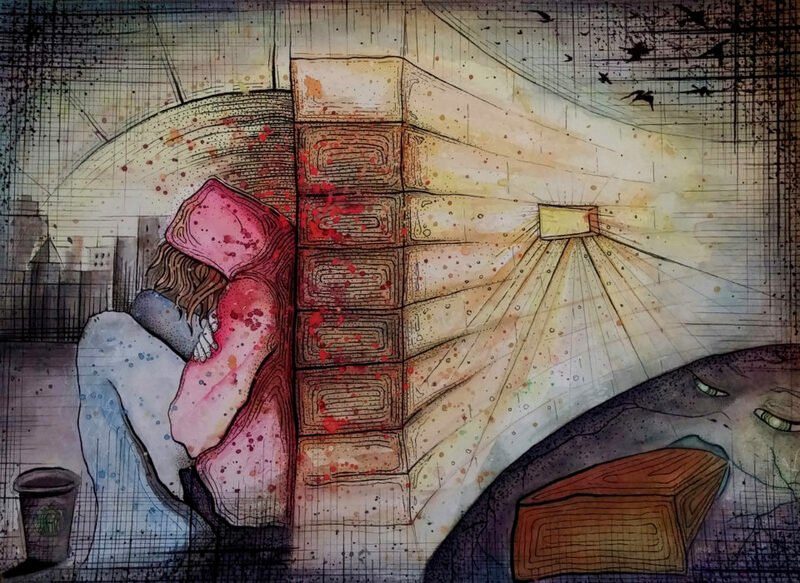 Art donated from a variety of California artists tackling Displacement and its atrocities. Gerardo Chow was born in Pto. Cabezas Nicaragua February 12,1976. In 1980 because of the war in Nicaragua he and his family were displaced and they had to seek refuge in Costa Rica. In 1986 his family sought political asylum in the U.S. He obtained a BFA from CCAC in 2007. He prefers to make work that speaks consciously about the way art can be used to bring to light the social/economical issues in our society. He works with different media/ mixed media. 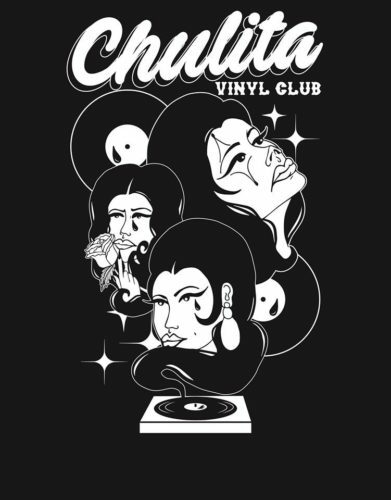 Chulita Vinyl Club is an all-girl all-vinyl club booking only self-identified womyn DJs bringing together the community of vinyl loving mujeres. Food will be provide for sliding scale donations. Art will be raffled at the event.